As the final whistle blew, it seemed all too much for Jose Mourinho. Professional sport is a brutal environment, filled with pressures and expectations and much of the talk regarding its sheer toughness is attributed to solo arts. Tennis is a fine example of this, from a mental perspective because there is no companionship involved. It is just one man and a racquet. There are no teammates, no manager howling instructions from the touchline and no passionate fans to spur the players on like in the beautiful game. Yet you’d find no lonelier character in sport than the United boss right now. Jose Mourinho headed straight for Luke Shaw, the one player who had done his gaffer proud in the minutes gone by and embraced him. Then, he headed to the Stretford End. You could see his eyes glistening, almost moist as he stood alone, applauding those still behind him. United are the most romantic club in the world, and their fans are a testament to a wonderful institution with values and ethos. Mourinho has never had fans like these his career. At the moment, these fans seem to be the only ones Jose has on his side in a battle he’s rapidly losing. No United fan would have envisaged a final score of 0-3 at the halfway stage. The Red Devils were everything their fans had wanted to see in the first half. They started with a rather odd looking shape, with Phil Jones and Chris Smalling aided by a makeshift right-sided centre-back in Ander Herrera. Jesse Lingard, Paul Pogba, Fred and Nemanja Matic formed the crux of their midfield overload. This seemed to be a double-decker bus. Their play was anything but that with Fred blasting a shot wide 55 seconds in to send shivers down the Spurs backline. They pressed willingly from the front ensuring the North London outfit had a minimal share of the ball, and United were exuberant if not exhilarating in attack. They were certainly moving the ball a lot quicker in the initial stages, and their desire was noticeably a level higher from the week before at Brighton. Lukaku missed a glorious opportunity in the first half to put United in front. A massive positive continued to be Luke Shaw, who made marauding runs down the left-hand side and was also involved in fast transition plays. 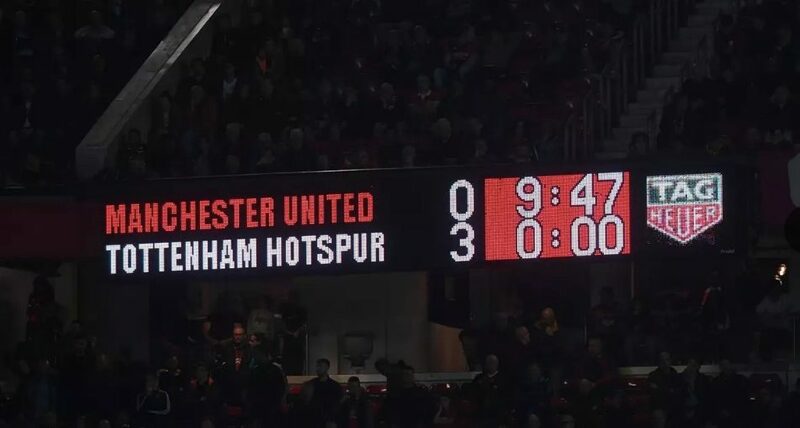 United, at least for the first half hour, sunk their teeth right into Spurs and gave the game a go. 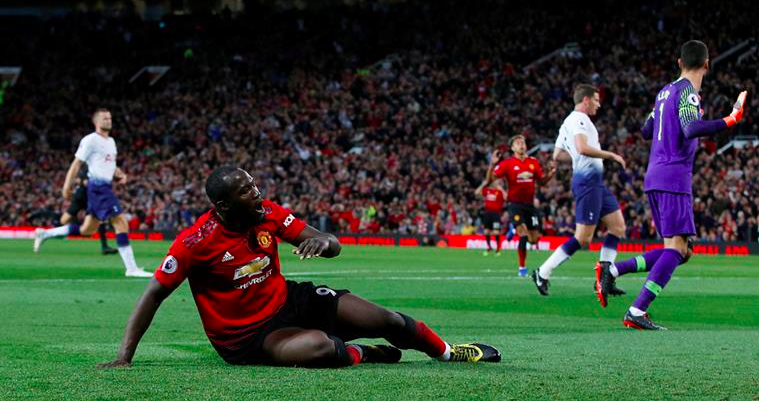 Romelu Lukaku fluffed a great chance, courtesy of a horrific Danny Rose backpass after rounding Hugo Lloris and failing to find an empty net on his right peg, while Pogba and Fred took good pops at goal. The Stretford End was bouncing, as United played high-tempo football with a flair their fans had not witnessed for a while. But as the clock struck half an hour, the tide slowly started to turn. An error from Matic let Dele Alli in on goal, who was averted by Chris Smalling’s smart retrieval tackle. A clumsy Jones tackle on Lucas Moura in the box went unpunished. Slowly, but surely, cracks started to appear in the United core and warning signs were aplenty. The second half represented a footballing calamity for those of a red persuasion. While United seemed to have started much the same when Pogba had a great attempt in the 46th minute, they soon struck their iceberg. Calamitous marking from Jones let Harry Kane net a brilliant header and give Spurs the lead via a corner, arguably against the overall run of play. A few moments later, poor positioning from Herrera and a lack of coordination amongst the three centre-backs gave Lucas Moura the opportunity to make it 2-0, which he duly took from an exquisite through ball from Trippier which was met by Eriksen who laid the ball on a plate for the Brazilian to dispatch. Mourinho was stunned. He brought on Victor Lindelof, Marouane Fellaini and Alexis Sanchez. But ultimately, nothing came to fruition. United looked rushed and panicky. 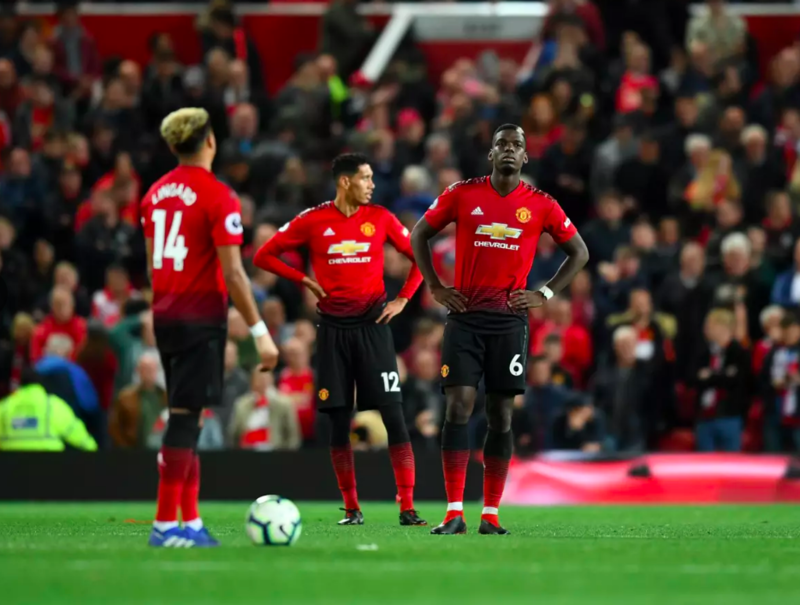 They were unable to rediscover their high tempo that was a feature of the first 45.In the dying embers, Lucas Moura sprinted past a tired, half-hearted lunge from Chris Smalling to seal United’s demise and sent the Spurs faithful into ruptures. The take away from the game should be that United are capable of playing an enterprising brand of football, even under the Portuguese. But they just cannot hope to win games of football, let alone titles with such awful defending. Jose likes his defense to be set watertight, before looking to create upfield. But for the second week in a row, United were abysmal at the back. And without solidity, Jose cannot offer flair or invention in his teams. Eric Bailly and Victor Lindelof had been awful, but their replacements in Jones and Smalling showed initial signs promise only to ultimately crash and burn spectacularly.. A terrible Lindelof back pass that should have been punished by Dele Alli made Mourinho incandescent with rage, and seems to confirm his problems at the rear. Another vindicatory message Mourinho received was that United should have signed Toby Alderweireld. The commanding Belgian had an excellent game, spraying wonderful passes and winning tackles immaculately. As he purred smoothly on the field, Manchester United biggie Ed Woodward could only squirm in his seat. Pogba was off the pace for the second week running, and one wonders if his head is in the right place any longer. The worrying thing for every United fan remains that in each of their 3 games, Luke Shaw has been arguably the only player to emerge with credit from all of them. Fred showed some sparks of his talent in the first half, but the fiery Brazilian will take more time to settle in the Premier League environment. Jose Mourinho is far from a novice at 55 years of age and a career spanning more than 18 years. He knows full well the clock on his time has now started to countdown. 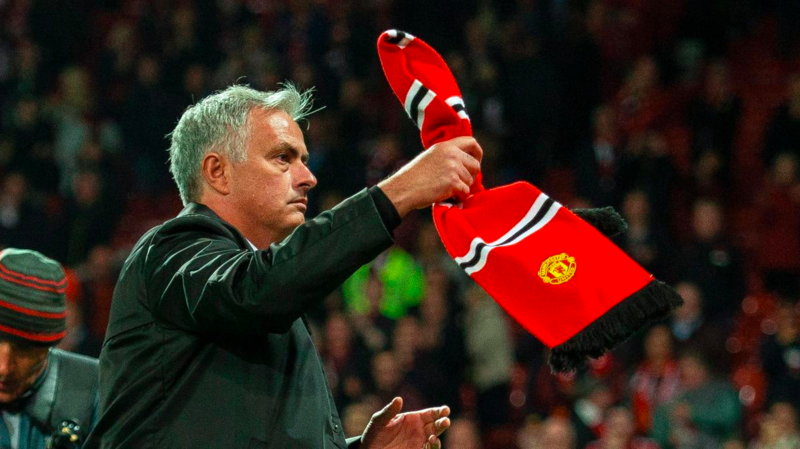 With his strained relationship with Ed Woodward and some of his ego clashes with the big stars in the dressing room including Pogba, the face of the club’s marketing regime, the Portuguese knows he is fighting a lone battle. His revving up of the crowd at the end seemed as calculated as heartfelt. United’s support while not as raucous as the lot over at Anfield, are certainly a lot whose hearts bleed for their beloved club. This is an institution that has seen its greatest generation wiped out in a tragedy of fate. Their fans will turn up next week and the week after to watch their bouncing Busby Babes. But Mourinho knows his players now have to step up to the plate massively. With ties against Burnley and Watford on the horizon, United have two tricky away trips they are not guaranteed of winning. But Manchester United have to deliver now. To cut the sitcom drama and start playing winning football. Not for their manager demanding respect for his 3 league titles, or their World Cup-winning midfielder or securing sponsorship deals. They owe it to their supporters and the badge they play for, that used to strike fear in opponents and invoke irrevocable pride in their fans. For Manchester United.